Riding a motorcycle can be freeing and invigorating, but it’s not always safe. As expert as someone may be, there isn’t a way to predict when another driver will lose focus on the road and possibly cause an accident. Handling yourself after a Glendale motorcycle accident is stressful and requires careful attention. If you ride a motorcycle and you fear for an accident, just remember a few tips that may help you in the situation. First, if your body is in shock, try to find a spot out of harm’s way and take a seat. Immediately call 911 and try to keep as calm as possible. In the event you sustained a serious injury, it is understandable that it may not be an option to get information. Studies show that most motorcycle accidents are caused by the other person, which can make investigations tricky. However, try to keep your motorcycle away from traffic and take note of everything about the situation. In the heat of the moment it’s good to stay as calm as possible and take down the other driver’s information. It would also be a good idea to talk to an Accident Lawyer in Glendale CA. After the accident you will need to file with your insurance company, which can be a time consuming process. It’s often that your insurance company may not be empathetic towards your situation and might try to give you as less compensation as possible, whether you were at fault or not. Motorcycle accidents tend to have a domino effect of issues, from injuries to property damage. A Glendale motorcycle accident is never an easy situation to handle, but having a lawyer there to help walk you through the process would ultimately work in you favor. Hiring an experienced individual who has knowledge of insurance company policies is the right step to take.. When you find yourself in a situation where you aren’t sure what to do next, hiring a lawyer is a wise choice. A motorcycle accident isn’t always just between a rider and another drive. Overall motorcycle safety could factor into a reason why you found yourself in an accident. Other such things like being under the influence, riding in poor weather, or even a tire blowout could pose a problem for motorcycle riders. 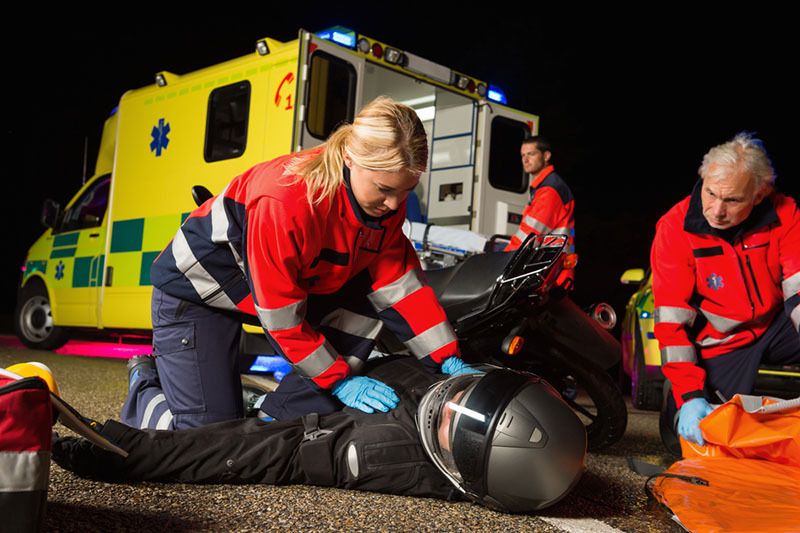 It takes years of experience to understand how to investigate a motorcycle accident. If you are looking for a Glendale motorcycle accident lawyer to help you, call the LA Injury Group. Reach them by calling (818) 210-4558. They can walk you through the process of working with your insurance company or filing a claim for you.